Nomadic1U 12xPro SSD: 12TB Solid State Storage (SSS) in a 1U rack space. Less than 20" deep, extremely quiet with low power consumption. Nomadic 1U 12xPro SSD will ship with both Network attached options, as well as dual 8 GB Fibre Channels. GVS9000 1XU Pro²: Cost effective and compact Uncompressed RAW Dual HD SDI digital disk recorder with easily integrated solutions. GVS has the tools to provide real-time file base recording and playback with remote control while shooting uncompressed direct from digital camera (ARRI, DALSA, RED, Silicon Imaging, Vision Research, Sony and Weisscam). Nomadic4U 2995C: The 12xPro is a high performance and extremely rugged, yet lightweight, system. Because it uses Solid State Drives, which have no moving parts, it is extremely quiet, uses less power, can withstand extreme shock, high altitude, vibrations and other harsh environments and has a significantly reduced risk of mechanical failure. Nomadic 1U 12xPro: Rugged, high performance system. 3.0-12.0TB and 12 hot-swap drives with high-performance single to dual 4Gb/s fiber channel hardware. RAID controller on desktop space with Operating Systems independent. Nomadic4U 2995C: Up to four controllers, up to eight 4 Gbit FC/PCIe/SAS/iSCSI interfaces in single 24 U chassis, with a support total of 16 GB of ECC cache and 3Gb SAS in addition to SATAII drives. Nomadic4U 2990C: Up to four controllers, with eight 4 Gbit FC interfaces in a single 24 U chassis. A support total of 4 GB of ECC cache, and support RAID 6, in addition to all other RAID options. GVS9000 2XU: Supports six internal SATA2 drives, 2 CPUs with Dual-Core processing (and Four-Core in the future), 8 memory slots with up to 32 GB cache (64 GB in the future), internal Nomadic 2290 hardware, RAID controller (supporting 0, 1, 3, 5, 6, 10, 50, JBOD RAID levels), and a dual redundant power supply. GVS9000 VTR supports ProRes 422 and 422 HQ, with a 50 fps frame rate for 720p50 and 720p25 formats, Final Cut Pro 6, Cinema Tools 4, Compressor 3, DVD Studio Pro 4, LiveType 2, Motion 3, and SoundTrack Pro 2. GVS9000 2U Flypack: Portable, rugged field recorder. Runs off of batteries; supports 3 hours of Uncompressed HD capture and playback while in motion. GVS HD Tracker: Build a digital library of clips as they are captured, add search capability for all fields into the clips, modify thumbnail view options. With search for multiple clips and directory, acustomizable database with all fields and parameters, export support for Final Cut Pro, FCP XML, P2 MXF, Alias, Premiere, Avid ALE, Media100, CMX3600, Grass Valley EDL, and Sony EDL. Nomadic 9000: Disk-to-Disk backup and duplication. 3,000GB-25TB UltraSCSI or Fiber Multiple host backup storage to provide user with unlatching performance. Still maintains price point at less than $1.00/per gigabit. Nomadic Cube: 4 GB Fibre, the first series of low cost 4 GB Fibre storage for SAN backup and metadata storage with the option of providing for RAID (0, 1, 5, and 10). At Siggraph2005, GVS introduced one of the most compact storage units on the market today: 12 TB SAN Storage with full redundancy in 4U rack. Nomadic4U: Comes with SAN/NAS Management system, GVS90002U, PowerPC, GVS9000VTR (Highest resolution of HD in 7" height rackspace, 120 Rendering Processor in 15U rack) GVS9000 render farm, Nomadic2890C (controller provides 2 Gb/s Fibre Channel (FC) connectivity and native support for serial ATA II (SATA 3Gb/s) disk drives). GVS90004U PPC: Dual, taking less than 19" rack depth, with up to 8,000GB internal disk space. GVS9000 1U AMD delivers the latest in dual 64-bit processor performance in a 1U rackmount. Nomadic3U: Up to 8.0 TB in 16 hot-swap drives, high-performance dual 2Gb fiber channel. GVS90004U AMD: 8-way with 64GB dual PCI-Expresses 16x. GVS90004U Quad AMD: Opteron 4-Way HyperTransport edition was introduced at NAB2005 as the fast's editing workstation in market place today, with dual 16xPCI-e graphic cards. GVS FlyPack: Complete on location recording, playback and editing of SD, HD, 2K and 4K in rugged 11U rack. GVS90004U PowerPC Dual: Rack mount system less than 19" deep, with onboard 3,000.00 GB Storage option with Fibre, U320 or SATA. Panoramic8U: The 20.1" high resolution LCD rack display has not only revolutionized the way flat-panel monitors are engineered and designed, but how they can be used. It accepts one composite video signal in either NTSC or PAL format. It also has S-Video, SXGA, DVI-D inputs for computer monitoring. Panoramic3U 7" LCD TFT 16:9 wide 2400dpi resolution display rack. GVS Xtreme Live - Highest quality video and audio streaming in the industry. High Performance GVS90004U P4 Express supports HT Technology introduced for GVS9000 workstations and servers. The first Fibre channel NomadicLT03 110MB/sec LTO backup based on OSX, Windows, Solaris, and Linux. GVS Nomadic1U line supports 130TB in a 42U rack space, one of the highest density solutions in the market place today. Rugged Rack Display System (RDS) - RDS is the latest system in the GVS product line to provide a solution for low power rugged display computing. GVS developed and designed GVS90002U PowerPC product, at less than 19" deep, from ground level. GVS9000 HD/SD (4:4:4) & (4:2:2) VTR Storage offers up to 2 hours uncompressed HD in a 4U rack space. The GVS90001U PowerPC with a rugged design of Dual PowerPC in less than 18" deep rack space. GVS Panoramic 24 the only product in the industry to deliver large display viewing on your desktop in a minimum desk space. Introduction of GVS Nomadic2880 Fibre RAID to SATA controllers in Nomadic3U Line, delivering data rate of 3.2GB/sec in RAID5 configuration. GVSAN for OSX ability for large number of OS X users to access shared data over fibre channel for HD and SD with over 24 layers of Audio. Designed the lowest profile heatsink to be incorporated into the GVS90002U line. General Dynamics selected the GVS90002U P4 as the product of the choice for the T-Win project. The largest fiber Storage Area Network technologies in Nomadic1U rack space, with 8 SATA, U320 and 2Gb Fibre drive technology. GVS90001U Dual Xeon Processor high performance server in only 1U rack space. Metropolis Media Server with dual fibre interface for SAN and NAS over 4xGigabit Interface and 2nd SAN interface for backup with snap shot. GVSAN for Windows was developed for the capability of production and server connectivity over multiple protocols. GVSTracker DDM provided the easy means of revision control of all your data/media assets. GVS introduced Nomadic3U product line with storage capacity of 24TB in 12U rack space. NomadicVI was the product of choice for dual HD editing acquired by The Orphanage. It was the only product that sustained the data access for full HD editing among all the products which were tested for their project. Microsoft implemented GVS90004U PPC in their graphics department. GVS90004U PPC offered 11 PCI slots in a single 4U rack. GVS9000 P4 with Fibre channel replaced traditional airline recording systems that occupied 6ft racks bringing the space requirement down to a 12U rack space. Panoramic displays were the product of the choice for the Airline and Military clients with over 35ft single site installed. GVS9000HD with high speed Nomadic4U introduced for uncompressed HD and SD with Pinnacle CineWave Pro Line. GVS90002U implementation in Lawrence Livermore National LAB. GVS90004U w/ Hot-swap U160 designed for OEM. The University of Texas MD Anderson signed an agreement for the Metropolis PowerPC Line along with Nomadic RAID and Nomadic SDLT as Media server for a complete imaging data base. NomadicVI with high speed Fibre to Fibre storage delivers the high speed of data access over 345MB/sec for Read/Write. Introduction of Low cost Nomadic ATA NAS solution with RAID 5 on dual-quad gigabit interface. Introduction of Nomadic1U , the first storage ever to house 8 hot-swap with redundant 450W power in a "). Metropolis4500 with NomadicVI line with fibre RAID5 controller. GVS90004U PowerPC completely redesigned making it the only product in market running completely silent. GVS90002U Dual 800MHz PowerPC line implemented at JPL with Linux, Boeing Flight test set up with GVS90004U line. 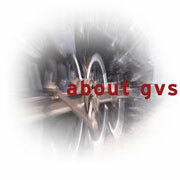 Introduction of SSS the Solid State Storage for GVS9000 PowerMac product line. Introduction of Metropolis 3400 for printing industry delivering a 99.999% availability. GVS Data Asset Management DAM product introduction. Metropolis 5000 line designed for 2K editing in real time for special effects, matte painting and 3D render farm. Metropolis Shared Storage with DVD mastering. GVS90001U dual processor in single 1U rack spaces in less than 18" deep. NomadicVI fiber to fibre hardware RAID5. Advanced GVS SAN - fiber Storage Area Network technologies and Re: View Manager - browser based document workflow solutions are introduced; developed for higher availability over the intranet and/or internet, 10/100 Ethernet, 1000Base-T Gigabit, and Fabric Fiber technologies enable throughput in excess of 180MB/Sec. NomadicVI 1GB Fibre with hardware RIAD 5. Grande Vitesse Systems unveiled the GVS 9000 workstation; superior workstation performance for graphics intensive (large files) applications. GVS revealed the Metropolis Cluster Server Solution; with all new fault tolerance/redundancy features that provide security for Enterprise Level (mission critical) operations. With the wide acceptance of the Metropolis server line in the design, prepress, and printing industries, GVS began to strengthen and broaden its' partnerships with other industry leading vendors and manufacturers. Network throughput continued to be improved/enhanced: Clients were now able to access and open files faster on the server than from their own local hard drives. Nomadic IV (Ultra Fast/Wide SCSI) is announced. Grande Vitesse Systems released the NomadicII RAID Array; bringing high performance and secure (hot/swap removable) hard drive RAID Arrays to the desktop. GVS began shipping the Workstation IIIP; allowing Mac (Quadra) users an upgrade path to PowerPC. GVS introduced the Nomadic I system; featuring Hot/Swap Removable SCSI capability for all 3 1/4 " SCSI devices. GVS announced the SCSI512 (SCSI Interface for 512k Mac); which offered the first external SCSI connectivity and support for the Macintosh512K product.